Thank you for popping by today. It's a Spring solstice this morning and I'm looking forward to sunny days ahead. It's been so cold here in London this week! 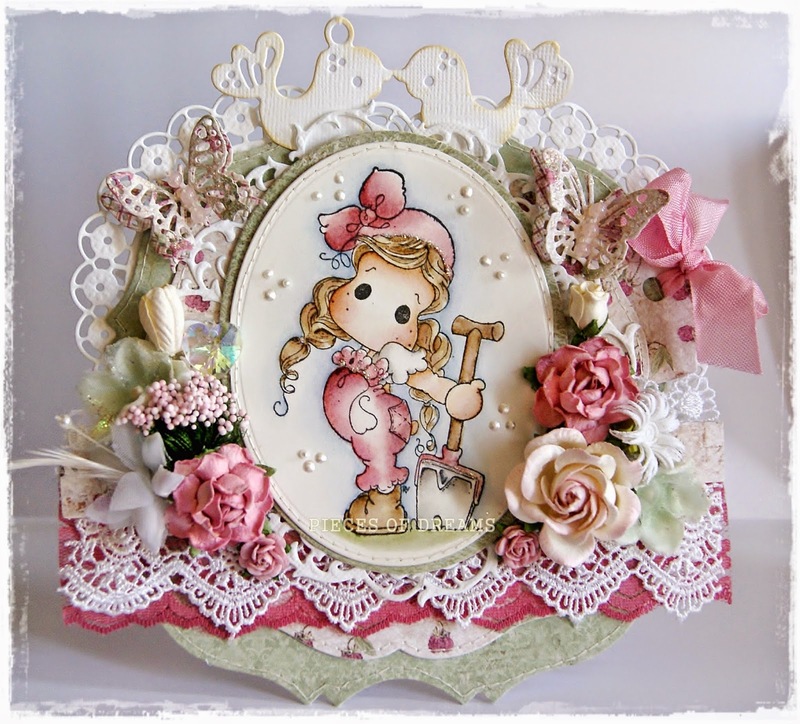 I was thinking of Spring when I made this card. 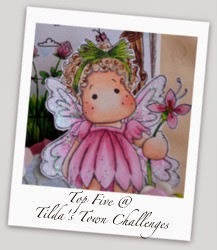 I chose "Tilda in the Garden" from the Little London Collection. She has been coloured using distress re-inkers onto Langton watercolour paper. The gorgeous raspberry Maja papers have been cut with GoKreate dies, inked and stitched. Other dies are Magnolia and Joy Craft. 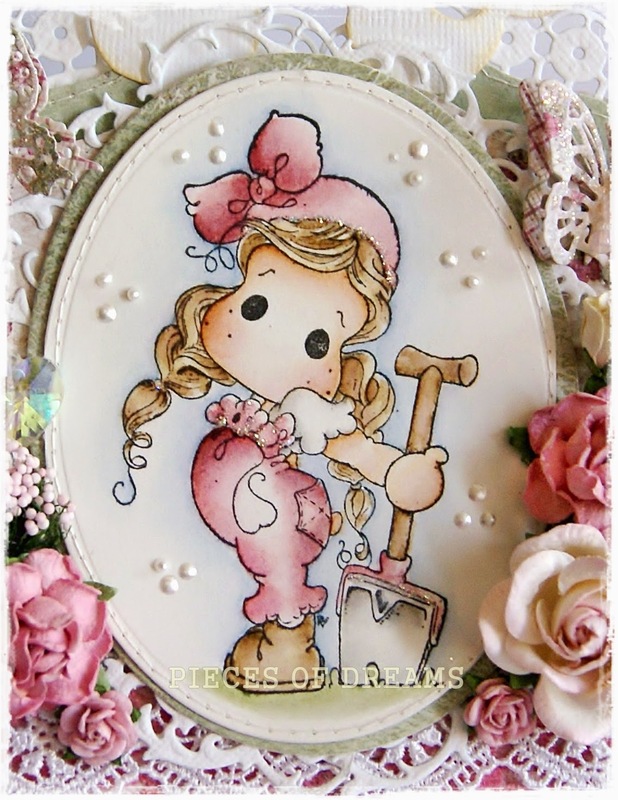 Glamour dust is visable onto her dungarees and she had to have a pink spade because... She is Tilda! The tag is held in an envelope, tucked inside so it can be easily removed for a message. 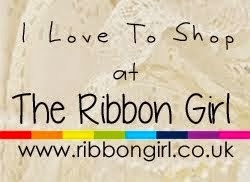 The lace and ribbons can be found at the Ribbon Girl. OK, so that's about it for now. 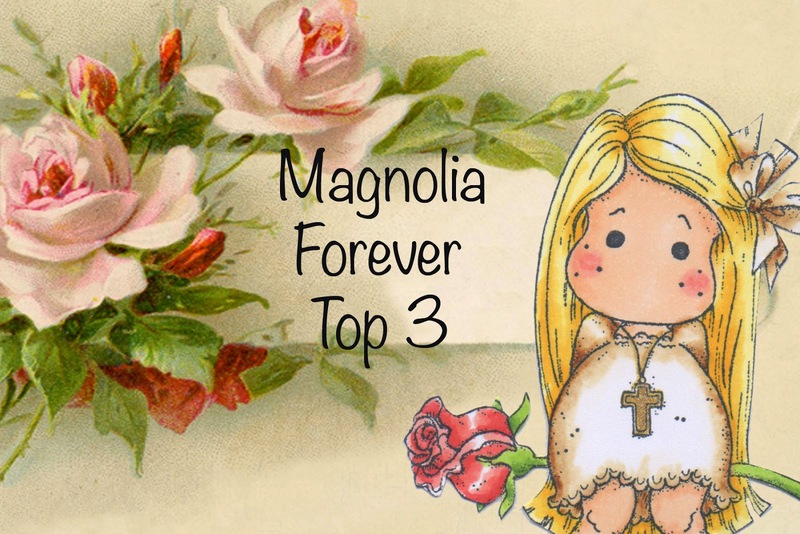 I am eagerly awaiting the new All About Magnolia Challenge. I am tempted to enter the DT call. I'm still thinking about it, but I don't know if my card making is good enough.... there are lots of big names entering. 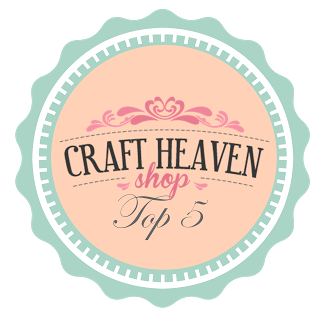 The new Design Team are FANTASTIC crafters and because it is being run by the very talented Dee Dee, it has the potential to be a very exciting challenge. This is stunning Christina. 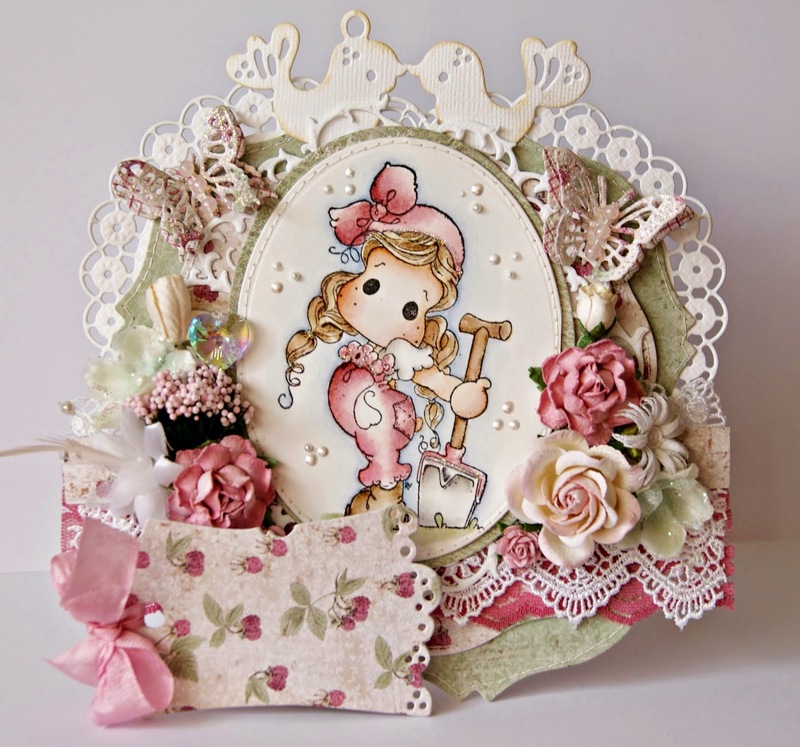 I love the image and the design is beautifully embellished. 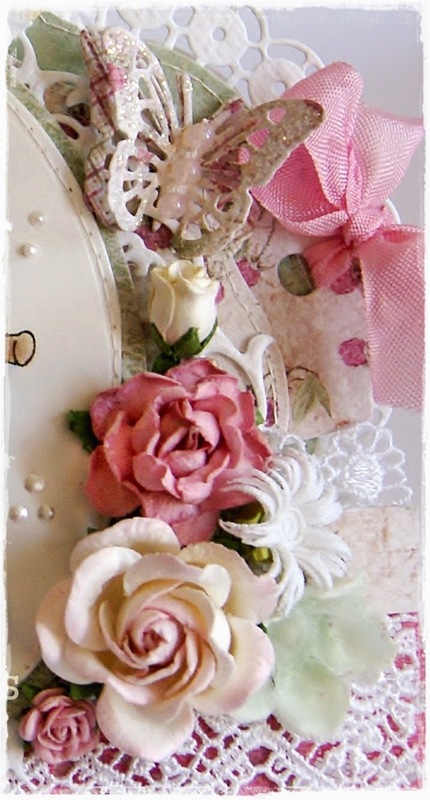 So much gorgeousness on every part of your card. 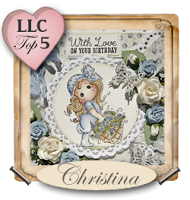 A beautiful card Christina, a lovely design and colours...........a gorgeous colouring of the sweet image and stunning embellishments!! suuuuuper suuuuuper loooooove this card big time!! !